The Payments Security Task Force and the EMV Migration Forum has developed a chip education curriculum. 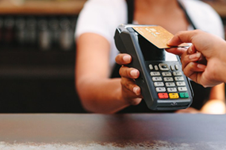 This education series will provide U.S. value added resellers, independent software vendors and merchant organizations with an understanding of the U.S. market for EMV migration, development preparation, kernel management guidelines, lessons learned, and testing considerations to assist with EMV chip migrations. Audio recordings of the five webcasts are now available. Each session is posted below with accompanying slides.